Aloitetaan tämä ketju hyvällä ESPN:n haastattelulla. Linkistä alkuperäiseen artikkeliin ja videoon. Throughout his illustrious career Zlatan Ibrahimovic has become renowned for his uncanny ability to produce the spectacular on a regular basis. 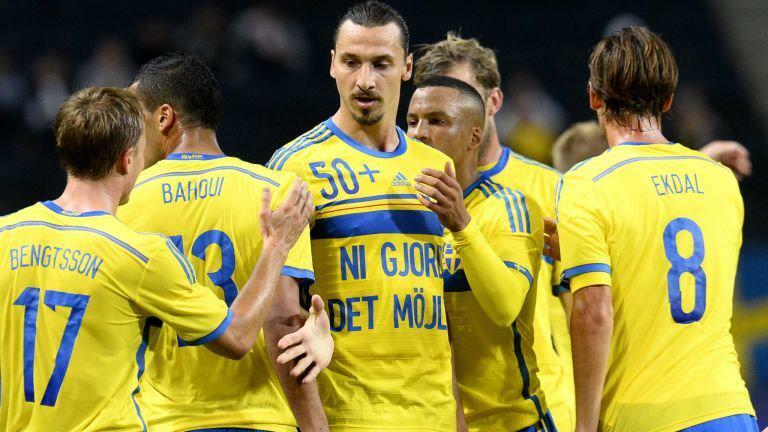 Zlatan Ibrahimovic doesn't need introduction anymore. He reminds everybody in this interview (in case some had forgotten) that he has already won 23 titles already in his career. At 32, the PSG star is without a doubt among the top five strikers in world football, even if he fell short again in Europe last season being knocked out in the quarterfinals against Chelsea, just a few weeks before winning the French league for the second year running. On Wednesday, during his lunch at the PSG training ground, he gave ESPN FC a long and exclusive interview. 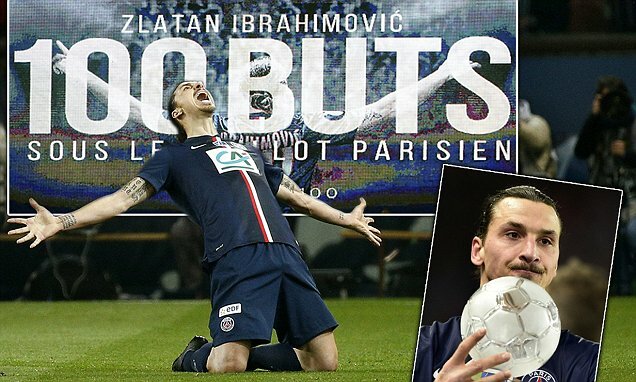 His childhood, his career, the PSG project, the Ballon d'Or: it's Ibra at his best. ESPN FC: How has football changed compared to when you first started out? Zlatan Ibrahimovic: Now, it's a business. At the beginning when I started, everything was fun. I was doing what I wanted to do. Now it's all more serious. You represent a club and you need to win. If you don't get results, someone else comes and takes your place. It is a totally different situation. But I am still here for a couple of years and then I will watch in front of the television. After a positive summer, Ibrahimovic is clearly ready for the new season. FC: Have you changed the way you play too, then? ZI: I think I have changed a lot. You don't have the same body and physical strength. You don't have the same mental strength and thinking. Now, everything depends on me in every occasion but it's not like I am 20. I can't run like I used to then! I play more intelligent today and more complete. FC: But the goal you scored against Bastia last season, the back-heel volley, that with your instinct like when you were 20! ZI: Yes, but that is something I bring with him. I will never lose my instinct. I play differently all around but the things I have in myself, like my instinct, will always be there and I will always play with them. That goal was pure spontaneity. It was not planned or thought about. It just happened. Zlatan rarely scores a boring goal, as evidenced by his iconic strike vs. England. FC: Surely this was your best goal ever, better than the one for Sweden against England! ZI: [Laughs] I won prizes for both of them. I rank them very high but I have to say the one for Sweden is top. It was a different situation: it was the first game in the new stadium, against England, and I scored four goals that night as well. People also forget the one against Italy at the Euros 2008. All of them are goals people will remember forever, so I am happy with that. FC: Is it important for you to be remembered? To be part of history? ZI: I am sure people will remember those goals for a long time and that's what you want as a player. Not all the players will be like that. Everybody tries to score a great goal, and I am lucky I have netted a few. FC: You never talk much about the Ballon d'Or. Why? ZI: I think it's not only about who is the best. I think there is a lot of politics around it, the good boy/bad boy thing and all of that. For me, what's important is what I think and what people around me think. What the judges [of the Ballon d'Or] think is not important for me. FC: Do you watch football on TV? ZI: Ha, no, I don't watch it. Come on, man; I play every day. Big games or the World Cup, sometimes I watch. But I never think: oh, at 9 o' clock there is a game and I need to sit in front of the television. FC: How are you feeling as the season has just started in France? ZI: I am still in the phase of preparation but I feel really good. We went to China for the French Super Cup and then we started the league at Reims with a draw. I am not 100 percent yet but it's going the right way. PSG has changed a lot since Ibra joined but his team is ready to compete for Ligue 1 and Europe. FC: You have scored five goals already in three games if we count the Napoli friendly. It must feel pretty good already? ZI: It is always good for the confidence. It's true. The team is doing well at the moment too. Hopefully I can continue like that. ZI: After what happened to me at Barcelona, I said that anything can happen in football. And it's exactly what happened. I had never seen myself playing in France before now I am here. I am very happy in France. I am enjoying my time here. I take pleasure to play here in France and I think the French are appreciating watching me play too. I want to continue to deliver like I have done since moving here. FC: Can you see the difference at PSG compared to when you arrived? ZI: Totally. All around the club, with the fans, with the media, everything is different. A lot of things have happened in the past two years. I have seen so many changes from the training ground to the stadium, the city. Everybody talks about PSG. I was told that now PSG even have fans in the South of France! PSG never had fans in the South of France before. That would never have happened before. It is amazing, and things are going very fast. FC: Is it exciting for you to help the club reaching another dimension? ZI: It is very special. I was here from the beginning. I wanted to join PSG for the project that I believed in at the time and still believe in. I knew it would be a great choice, and so far it has gone exactly like I expected to be. I am very happy and proud. To see how the club was on day one and now is fascinating. And hopefully, the future is even brighter. Is Ligue 1 too easy for PSG? Hardly, says Zlatan. FC: Be honest: does Ligue 1 feel too easy for you at times? ZI: No, not at all. We are preparing in the best way possible and yes, we have a very good team. And when you play in a strong team, it's not easier, but you have better opportunities to shine. FC: What are your objectives this season? ZI: I think that to reach the next step, I have to do better than last year. I have reached the level I am at now because I have always wanted to be better than the season before. I have to score more, to give more assists, to be decisive more. I want to get to a higher level. FC: Some people say Ibra is PSG now. How does it make you feel? ZI: I don't feel like that at all. I would be nothing without the team and my teammates. I am playing with very good players, players who respect me. I respect them. Respect is a very important notion for me. You can't do well if there is no respect. We work hard every day to reach the same goals and objectives. Everything comes with hard work. FC: How would you qualify your role in the dressing room? ZI: I am one of the leaders. There are a few. We have a good group here. We have a great atmosphere in the dressing room. We never had any problems. It is a funny dressing room. Everybody likes to have a laugh and take the piss of the other ones, so it's good. I like it. Ibrahimovic is happy working with Blanc but isn't sold yet on management after he retires. FC: What do you think of Laurent Blanc? ZI: He is very calm. He knows what he wants and he gives the players the space they need. He likes to play good football. He has a winning mentality. It's his second season at the club, so it will be easier for him because he knows the squad better. FC: Would like to be a manager one day? ZI: I don't know, man. It is too early. If I say no today and then become a coach, I will disappoint you. FC: Will you finish your career at PSG? ZI: I have a contract until 2016. I will be 34 next season and I don't see myself continuing to play at the top level after that. So probably the answer is yes. ZI: [Laughs]. We will wait and see what happens then. First, I will try to bring great results to the club on the pitch. FC: The only missing, at club level, in your trophy cabinet is the Champions League. Is this the year for you? ZI: I think we can win it. We have a good opportunity. This team is made to play in good tournaments. You need to work hard and to have a bit of luck with you. In the key moments, you need to have the small details on your side. I think we have that in our team now. We have more experience too, especially after last season. So we can do it. PSG failed in their UCL quest last season but it's not an obsession for Ibra or his club. FC: Is it an obsession for you to win it? ZI: No, it's not. Because if it becomes an obsession for you, it feels that you have not reached what you wanted in your career. Me, I have achieved what I wanted in my career, 100 percent. I have won 23 titles. I have given my best and done everything I could through my career to win as many trophies possible. Of course, it would be nice to win the Champions League, and I feel I can and will win it. But if my career finishes without it, I would still be happy and proud. FC: Does it annoy you when people keep saying you haven't won it? ZI: [Gets animated] No. When someone is on top, people always want to find something to criticize him. The real Ronaldo didn't win the Champions League either. What do people say about him? It's the same thing [with] me. You win because you win, but it doesn't change the player you are. If Maradona hadn't won the World Cup, would people not say he was still the best? They would. FC: Do you feel PSG need one or two more players to win the Champions League? ZI: I think we are stronger than last year already. It's not always the best team that wins the Champions League. Anything can happen in that competition. There are years when the winners are not the favourites at the start of the tournament. That's why it is so interesting. FC: It's your third season in Paris now. Do you feel like a real Parisian? ZI: [Laughs] For sure. I know Paris much better now. I understand the people and the city much more than before. It's my third year now and everything is going like I expected to go. The more time passes, the more a real Parisian I feel. The first year was not so easy but now it's much better. Helena and the boys [Vincent and Maximilian] feel the same as well. They are settling down and everything is going like we want. It is important for me that they are happy. If they are happy, I am happy. So they have made it easier for me. To be Zlatan means a life permanently in the spotlight, but the star striker doesn't mind. FC: Is it difficult to be Zlatan Ibrahimovic? ZI: The problem is that I am not free to do what I want when I want. I am used to it. It's part of my job. I didn't choose things to be like that. It's the way it is. There is nothing I can do about it so I try to find a way to enjoy it somehow so you don't lock yourself in. FC: Do you wish things were different? ZI: I wish I could do much more than what I am doing today, yes. It doesn't mean that it stops me but sometimes I wish I could be more free. FC: Do you have any regrets? ZI: No. I don't think so. Anything that happens in your life was meant to happen. It is your destiny. I was destined to have the life I have now and I can't have any regrets. FC: In your book "I Am Zlatan Ibrahimovic," the updated version of which will be released soon, you talk a lot about your childhood and how you grew up. Do you still think a lot about it now, about Rosengard, the tough neighbourhood of Malmo where you were raised? ZI: Of course. Wherever I go, I represent Sweden but I also represent Rosengard. For me, my neighbourhood is Rosengard. It is part of me, and wherever I play, I am Zlatan from Rosengard. You never forget where you come from. It was my home when I was a child. And it is still my home. I wish I could go back there and live there, hang out with my friends there. The problem now that I am famous is that I can't do it. And it's a shame. FC: Do you talk about those years sometimes with Sanela, your sister, or with Helena, whom you met when you were quite young? ZI: Yes, it happens, often. I realise the incredible journey from Rosengard to Paris. It all happened very fast but I haven't lost my head. I remember everything, where I came from, what happened, what I came through. I still have my feet on the ground. It is a fantastic adventure that I had, and hopefully I can continue a bit more. FC: In the book, there is the story about the fridge and how at your dad's place, growing up, the fridge was always empty, and that now you always want to fridge to be full for your two sons. ZI: It is still the case. It is one of my principles at home. The only thing I ask Helena to do is to make sure the fridge is always full. I wish anyone in this world could go to his fridge and pick whatever he wants. Because the day you open your fridge and there is nothing in it, it is difficult. Hunger is one of the worst things on earth. It was the case for me. I could not have had more because it was like it was and I was still happy. But now I have children and I demand of Helena to have the fridge always full. Cruzeirosta joo Ajaxiin Maxwell saapui. "From there everything begins. Ajax, the adventure in Ajax, I saw Beenhakker, I saw this amazing Amsterdam ArenA. I came to Amsterdam totally alone, and I had problems in the first month. I will be honest, I didn't have money for this month, because the salary comes after one month, and I had a television and a bed in a big house. No, not a big house, today I'd see it as a small house, but at the time it was a big house. And I called Maxwell, because Maxwell came to Ajax at the same time as me, so he picked me up at the airport and I got to know him a little bit more. After two weeks I called Maxwell and I said I have problems, he was like 'OK', because Maxwell is the best guy in the world. I mean if you want to think of a teddy bear you have Maxwell. I called him I said 'listen I don't have food at home, I need help', and he said 'OK come to my place'. He put me on the floor, with a mattress to sleep on. I slept in his house for two weeks, I was hanging out with him, eating food and driving to training together. And after one month the salary came and it became easier for me." Thank you Zlatan, thank you. Sanotaanko, että hyvin samoissa menen Zlatanin kanssa, jos omaa listaani lähtisin kokoamaan. Tuohon heittäisin todennäköisesti kuitenkin Zidanen yhden keskikentän tilalle. Jos siis kyseessä olisi kaikkien aikojen joukkue - ei joukkue kuten tässä oli kriteereinä eli pelannut Zlatanin kanssa ja tästä syystä mies itsekin on joukkueessa eikä pelkästään zlataniutta. Nyt TV5:ltä on katsottavissa uuden Maalikuningas Zlatan -dokumentin ensimmäinen osa. Alkoi 19.30 ja loppuu tuossa 21.00. Toinen osa taisi tulla myöhemmin tällä viikolla tai ensi viikolla. En muista nyt ulkoa. Edit. Jatko-osa näytetään 16. joulukuuta, klo. 20.00. Oli muuten hyvä tuo dokkarin ensimmäinen osa, pitää katsoa viikon päästä tuo toinenkin jakso! Katsoikos kukaan muu foorumilainen tuota toista osaa, oliko parempi kuin ensimmäinen? Samaa laatua koko setti. Eipä noita pidä edes lähteä vertailemaan, kun kuuluvat yhteen. Olisin itse toivonut koko dokumentilta ehkä hieman enemmän seurajoukkueidenkin puolelta. Hyvin maajoukkuepainotteinen. Siitä huolimatta loistava ja suosittelen kaikkia katsomaan. No eipä näytä löytyvän tunnustusta edes muille Ruotsalaisille jalkapalloilijoille ? vaikkapa sellaisille jotka 1994 vuoden MM-kisoista sentään pronssia kotia toivat. Tosin Zlatan tuskin pitää tuota edes minään saavutuksena.. onneksi tuo ei Ruotsin kanssa tule koskaan kuitenkaan MM-kultaa voittamaan.. sitten se ois varmaan sijat 1-11 paras urheilija kautta aikain Ruotsissa ja siinä sivussa koko maapallolla. Stuck for some entertainment? Watch Zlatan Ibrahimovic's UEFA Champions League story. Featuring PSG, Milan, FC Barcelona, Inter, Juventus and Ajax. He’s the only player to have scored for six different clubs in the competition – watch the great Zlatan Ibrahimović talk you through his UEFA Champions League journey. Video Zlatanista vierailemassa Grévinin museossa, jossa hän pääsi katsomaan – noh, itseään. Ibrahimovic sai siis itsestään näköisvahapatsaan Pariisiin. Videossa hänen mietteitään kunnianosoituksesta, patsaan julkaisutilaisuus sekä videokuvaa rakennus- ja suunnitteluvaiheesta. Pirun komeahan siitä tuli kuten elävä Zlat' itsekin. Vaivaa nähty ja paremmin ei olisi voinut onnistua. Respect. Vaikka tuosta tulikin sitten pelikieltoa tulevaan otteluun AS Monacoa vastaan. "Yesterday we played Caen on Parc des Princes. My most important game so far. Underneath my shirt I had 50 new names of people on my body. People I never met but still want to keep close. 50 names out of the 805 million people suffering from hunger in the world today. Make sure the world knows." Ligue 1 Talking Points: How will PSG find a winning identity post-Ibrahimovic? How will Paris Saint-Germain find a winning identity in the post-Ibrahimovic era? While not as dull as the 0-0 scoreline might suggest, Sunday night’s encounter between Monaco and PSG at the Stade Louis II left much to be desired for the visitors, for despite Monaco having neatly taken apart Arsenal mid-week, they were still missing three central defenders in Andrea Raggi, Aymen Abdennour and Ricardo Carvalho. A strong performance from Jérémy Toulalan, deputising at center back for not the first time this season notwithstanding, Monaco were clearly there for the taking, but for a lack of clinical finishing on the part of the capital club. With Edinson Cavani being given his desired role as the focal point of PSG’s 4-3-3, and Javier Pastore and Ezequiel Lavezzi playing wide, this forward line struggled to finish off their chances. Even with the withdrawal of the faltering Lavezzi for youngster Adrien Rabiot late on, nothing came off, with Monaco ‘keeper Danijel Subasic not having to do anything extraordinary to earn yet another clean sheet for what continues to be Ligue 1′s best defence. One can, of course, argue that the chances that presented themselves for PSG were hardly gilt-edged, and somewhat excuse Lavezzi owing to his lack of match fitness, but if the title holders are going to continue to develop in the Qatari era, better performances in matches like this have to occur. With Marseille and Lyon both having lost earlier in the weekend, this was the perfect opportunity for PSG to go to the top of the table; instead, against a Monaco side that was more than willing to absorb their pressure, the champions delivered a magnificent bowl of slop, with Cavani being the biggest culprit, missing a pair of respectable chances. While these chances, as mentioned, were not of the highest order, one could not help but think of what Zlatan Ibrahimovic would have made of them. However, with last year’s leading scorer once again injured, Cavani appears to be the focal point of the attack, andhe must start finding his best again, putting shots on target and involving his teammates with his hold-up play in the manner of the Swede. As integral as Ibrahimovic’s goals (and assists) have been to PSG’s success during his three seasons at the club, this year, the Swede seems to have lost, through a combination of failing fitness and advancing age, his best form, as the team is actually faring better without him in the lineup. While still one of the first names on Laurent Blanc’s team sheet, the fact that the club have thus far accrued 1.95 points per match with Ibrahimovic playing and 2.13 without him means that a reconsideration of his role on the team is necessary, both for the present and for the future. Last season, these figures were 2.39 with and 2.00 without, with 2.29 and 1.25 in 2012-13. Averaging in excess of 2.2 points per match played is an almost certain recipe for a title, but while PSG may yet capture a third consecutive league crown, it certainly won’t be down to their petulant vice-captain as in previous years, nor will it be won at a canter, as despite recent struggles, Lyon and Marseille don’t appear to be going away. That said, beyond the struggles of Cavani to live up to his fellow striker’s previous impact, there have been some positives to take away from PSG’s season to date. Lucas Moura in particular has looked increasingly confident and capable in an expanded role this season, but apart from the Brazilian, Blanc appears distressingly unwilling to give the side’s younger players a chance. From Lucas Digne at left back to Marquinhos at center back, from Adrien Rabiot in midfield to Jean-Christophe Bahebeck up top, the squad is chock-full of young talent that needs to be developed, but which instead languishes on the bench (Digne, Bahebeck) or is only called upon when absolutely needed (Marquinhos, Rabiot). If PSG continue this over-reliance on veteran players at the expense of developing youth, the youngsters the club has brought in may be all too eager to follow Kingsley Coman and Mamadou Sakho to greener pastures, and with Financial Fair Play limiting their ability to being in additional veterans, it will be difficult indeed to realize the owners’ aspirations. Ibrahimovic is only one player, and PSG aren’t definitively a “worse” side with him on the pitch, but he is emblematic of the club’s problems as a whole, and were he to be made an example of in terms of playing time, perhaps some of the very palpable tension around the Parc des Princes would become excitement over a future in the hands of these talented youngsters. Ibrahimovic on enää vain 10 maalin päässä Pauletan maaliennätyksestä seurassa. Pauletalla osumia Pariisissa siis 109, kun taas Zlatanilla 99. Transfermarktin mukaan Pauletalla kuitenkin olisi vain 83 maalia ja 9 maalisyöttöä, jotka olisivat tulleet 183 ottelussa. Voisi siis olettaa, että noin 200 ottelua Pauletalla tuohon ennätykseensä meni. Zlatanilla puolestaan on alla 122 ottelua, joissa syntynyt nuo jo mainitut 99 maalia. Lisäksi tuohon kuuluu 41 maalisyöttöä. Tästä, tai lähinnä edeltäneestä tuomareiden kritisoinnista napsahti sitten Zlatanille 4 ottelun pelikielto näin jälkikäteen. Ei kyllä tällä kaudella tunnu Ranskan jalkapalloliitto yhtään katselevan läpisormien. Aikaisemminhan siis annettiin 1,5 kuukautta jälkikäteen Zlatanille toinen pidempi pelikielto taklauksesta, jonka tuomari oli ottelussa tuominut keltaisen kortin arvoiseksi. Cavanihan sai pelikieltoaan tuuletuksesta, jossa ampuu taivaalle näkymättömällä aseellaan, sillä osoittaisi tuolla muka jotain katsomossa istuvia kannattajia kohtaan, ja mitä näitä nyt vielä on. Saa silmiä pyöritellä, vaikka ihan ymmärrettävää. Eniten ottaa päähän, että näitä pelikieltoja annetaan niin monta päivää tai viikkoa jälkikäteen, että koko asian on jo moni unohtanutkin. Ibrahimovic on siis sivussa vaikeat vierasottelut SC Bastiaa ja OGC Nicea vastaan, jota seuraa LOSC Lillen vierailu Parcilla. Tuohon vierasotteluiden väliin mahtuu ottelu FC Barcelonaa vastaan, josta Zlatan myös sivussa pelikiellon vuoksi. Jos mennään positiivisiin uutisiin, niin Zlatan rikkoi 100 maalin rajapyykin Pariisissa. Ei edes kolmea kautta siihen mennyt. Ennen tämän viikon ottelua oli saldona 99 maalia kunnes ruotsalainen johdatti PSG:n 4-1 voittoon Saint-Etiennesta hattutempullaan ja nosti maalimääränsä 102 osumaan. Tästä seurauksena intohimoinen tuuletus ja pysti kouraan hienosta saavutuksesta. MAXWELL AND IBRAHIMOVIC, TITLE RECORD HOLDERS! By securing their third successive French league title, Maxwell and Ibrahimovic have maintained their lead over the most successful players since the turn of the century. According to the Brazilian news agency Globo, and based on championships all over the world, the two players, with ten league titles each are ahead of Arjen Robben, Bastian Schweinsteiger, Juninho, Fernandinho, Dario Srna and Sergio Aquino, who have each won eight league championships. Maxwell won two titles with Ajax in 2002 and 2004, three with Inter in 2007, 2008 and 2009, two with Barcelona in 2010 and 2011. Zlatan Ibrahimovic didn't win the 2011 title with Barcelona, but was crowned champion of Italy that same season with AC Milan. Mestaruusjuhlista en laittanut PSG:n ketjuun suoraa lainausta Zlatanin osalta, mutta pyrin laittamaan videomateriaalia – jos sellaista löydän – mahdollisimman pian. Ibrahimovic kuitenkin aikaisempien sanojensa mukaan pysyy Pariisissa vielä viimeisen vuoden sopimuksestaan ja tätä tuskin kukaan epäili. Zlatan Ibrahimovic: "VIVE LA FRANCE!" Zlatan kasvatti mestaruusmääränsä 26 pokaaliin. Uutena kokoelmiin tuli nyt viikonloppuna voitettu Coupe de France. Ruotsalainen vaikuttaa olevan tyytyväinen saadessaan olla osa ehkä Ranskan jalkapallohistorian parasta seurajoukkuetta. According to France Football, PSG striker Zlatan Ibrahimovic’s future at the club is being questioned. Internally, the idea of terminating the Swede’s contract has been discussed, according to the French football magazine. Poor performances in big matches and the Edinson Cavani problem have made Zlatan a “problem” in terms of the development of the club and the reconstruction of the team in the near future. By boycotting certain celebrations like the Coupe de la Ligue and the title win at Montpellier, as well as being absent from the Parc des Princes for PSG’s 1st leg Champions League match against Barcelona, something is not right between Ibrahimovic and PSG. A contract termination would cost the Paris club €15m, something that, with FFP, would not be ideal, but still has the possibility of occurring. AC Milan, the interest is not just a rumour. Silvio Berlusconi personally wants Ibrahimovic back at the club, and there are noises that he is willing to offer the Swede around €7m net on a three year contract. With new owners expected shortly at the Italian outfit, a deal is far more plausible than some might suggest. The US and Turkey are possibilities that are being explored, but only the former is really being taken seriously. France Football affirm that only one of Ibrahimovic and Cavani will be at the club next season. Zlatan iski Montenegroa vastaan 3-1 voitossa 2 maalia. Toinen oli hieno sooloilu. Tässä ensimmäinen, tässä toinen. Voikohan tästä päätellä jotain Zlatanin tulevaisuuden osalta?